Bloom’s Taxonomy has been used for over 60 years in classrooms and with the revised version is still very relevant to teachers during the planning stages of their lessons (Schoening, n.d). It can be challenging however to implement. Not only does this website attempt to simplify the concepts but more importantly it applies the taxonomy to technology which is the wave of the future. This is a great resource for me to use to try to incorporate Bloom’s while planning my lessons using technology. 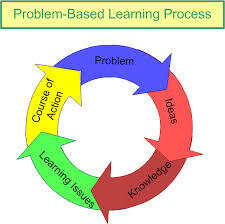 Problem based Learning (PBL) and Case studies are foundational to practicing real life situations in nursing education. They are sometimes time consuming and difficult to develop but the resource section on the UNM website helps to simplify this process and even provides video examples for instructors like me to follow. I can use this website to refine these strategies in my own classroom to help facilitate stronger learning experiences for my students. I can even begin to use other strategies that I have not used such as analogy. Learning Nurse is a free website with 100’s of quizzes that can be used as a pre-test or post test in a very fun way. I can’t count how many times I have used this resource in the class as a fun way to challenge the students. We will do this as a competition and other times we will complete as a class on the projector. This is a great way to bring fun into testing and also helps me know whether my students are learning the material so I can then modify my lessons or reviews to fit the deficits that I heard. Smartteaching.org provides resources to instructors like me for many different situations and is a resource that I have used before. Creating motivation in students is extremely hard sometimes, particularly in the technological age when distractions are so much more fun. This website provides over 100 (yes 100) techniques that teachers can use to motivate, inspire and empower students in their learning. These are all simple techniques that I can begin to implement in my classroom tomorrow without a lot of prep and time. It attacks motivation from different angles such as by addressing learning environment, or the teacher themselves. A few weeks ago I met with my learning partner for the course via Skype to discuss our research about the impact of technology on post-secondary education in terms of roles and trends. My independent research is listed in previous posts regarding each of these topics, however I intend to instead discuss some of the things I learned from Margaret. Margaret is an educator from a completely different sector than I. She works with the police and I with nursing students. I anticipated finding a common ground difficult but actually we got along quite well and both ended up gravitating towards the impact of technology since it is such a driving force for today’s education sector . We went about our research and after a few failed attempts to get back together online due to unforeseen circumstances, we finally connected and began to teach each other about what we had learned. What I found most interesting among a lot of our discussions was that despite the fact that we teach different material to different types of professionals, we actually used some of the same technologies. One example was TED talks. Both she and I had read about this as an example of an influential technology in the classroom and both had used prior to in order to support one of the topics we were teaching. After some discussion, we found that we had also similarly used Khan Academy, LMS and many other resources. I found this interesting because it shows me that technology can be used by everyone in every walk of life. As an educator, my job is to find the appropriate resource to support the learning in my classroom, and one of those methods is by accessing information on the web that is already available. Another interesting statement that Margaret made during our discussions still resonates with me today. She mentioned how the use of different technologies and ways of learning for the students helps to take the risk out of learning or helps to alleviate the fear of making a mistake for the students. They can participate using technology and the internet in the comfort of their own homes, while trying out ideas and not feeling pressured to be right (which can happen in the classroom). I have always known that different students will learn in different ways, and her stating this helped me to realize that the quiet students might just be waiting for that avenue to help them open up and be comfortable. Technology might be just that resource. Initially I began this assignment apprehensive, as what common ground did I and a police officer have in common? Margaret was able to change that perception for me. I appreciate her years of experience and extreme compassion for the plight of her students. She is a marvelous teacher and her students are lucky to have her.